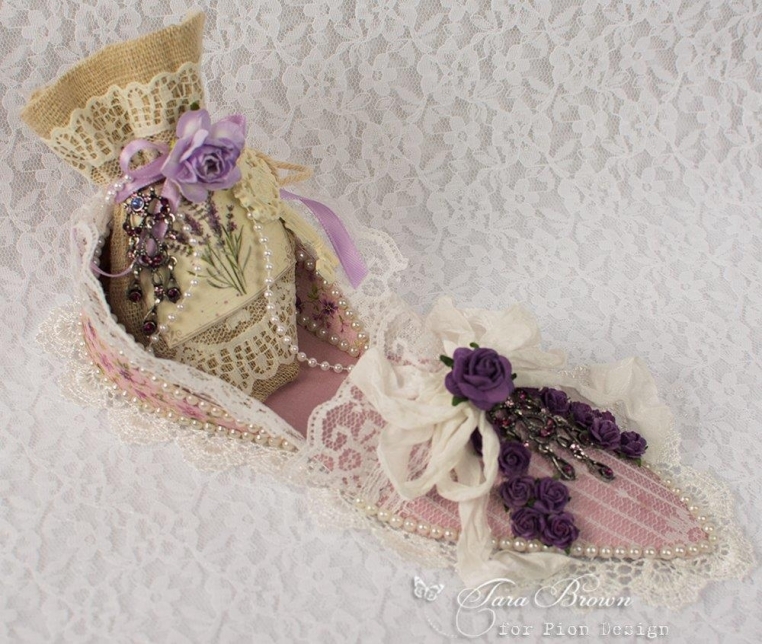 I decoupaged Scent of Lavendar paper onto a small burlap bag and then filled it with dried lavender potpourri. It fits inside the paper shoe and I made several of these as housewarming gifts to put into lingerie drawers. Best wishes for a good day crafting with these lovely papers!